Chinese Hui Muslims pray during Eid al-Fitr prayers at Niujie Mosque in Beijing in 2015. Authorities in western China were poised to begin demolition of a mosque Friday, despite protests by members of the country's Muslim Hui ethnic minority determined to preserve the newly built structure. The Grand Mosque in Weizhou is brand-new — it was just finished last year. Authorities say it lacks the proper permits and must be torn down. But worshipers are fiercely opposed. They point out that the government did not raise concerns about the permits during the actual construction process. One resident told the BBC the protesters "won't let the government touch the mosque." Public demonstrations like this are not common in China, "where the government is often quick to quash any hint of dissent," The Associated Press notes. "The protest comes as faith groups that were largely tolerated in the past have seen their freedoms shrink as the government seeks to 'Sinicize' religions by making the faithful prioritize allegiance to the officially atheist ruling Communist Party. Islamic crescents and domes have been stripped from mosques, Christian churches have been shut down and Bibles seized, and Tibetan children have been moved from Buddhist temples to schools." The new mosque in Weizhou has "soaring minarets and domes," in a Middle Eastern architectural style. The BBC reports most Hui mosques in the past "had been built in a more Chinese style." The local authorities posted a notice on Aug. 3 that the building would be forcibly demolished because it did not have the proper permits before it was built, according to Reuters. "[T]alks between mosque representatives and officials have failed to reach agreement, as worshippers rejected a government plan to spare the mosque if its domes were replaced with pagodas more in keeping with Chinese style, one source in the area told Reuters." "After taking down the domes, the mosque can no longer be an icon of Islam," an unnamed local man told The South China Morning Post. "Changing it to a traditional Chinese style is as incongruous as putting the mouth of a horse on the head of an ox." Protesters at the mosque brought stoves, water and food with them on Friday evening, the SCMP reports, suggesting that they're settling in for a lengthy standoff. Historically, China's Hui Muslims have been fairly well-integrated with the Han Chinese, the country's ethnic majority. They have been able to practice their religion openly, Agence France-Presse writes. But the "winds have shifted," as one Hui told AFP last month. Chinese authorities have been brutally cracking down on Muslim communities a thousand miles to the west of Weizhou. "In the far west region of Xinjiang, following sporadic violent attacks by radical Muslim separatists, hundreds of thousands of members of the Uighur and Kazakh Muslim minorities have been arbitrarily detained in indoctrination camps where they are forced to denounce Islam and profess loyalty to the party," the AP writes. 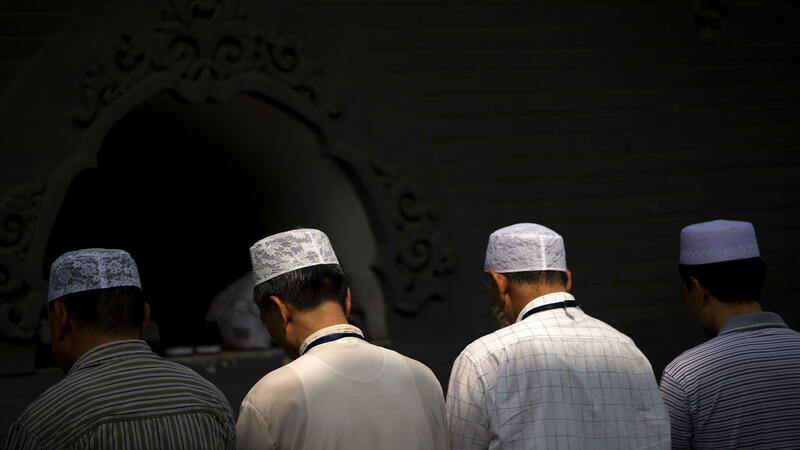 Last month, AFP reported that the anti-Muslim hostility appears to be spreading to Hui Muslims in Linxia — another city in northwest China, and a hub for the Hui community. Authorities in Linxia have stopped mosques from issuing the call to prayer, banned children from receiving religious education and limited the number of older students allowed to study at mosques, AFP writes.